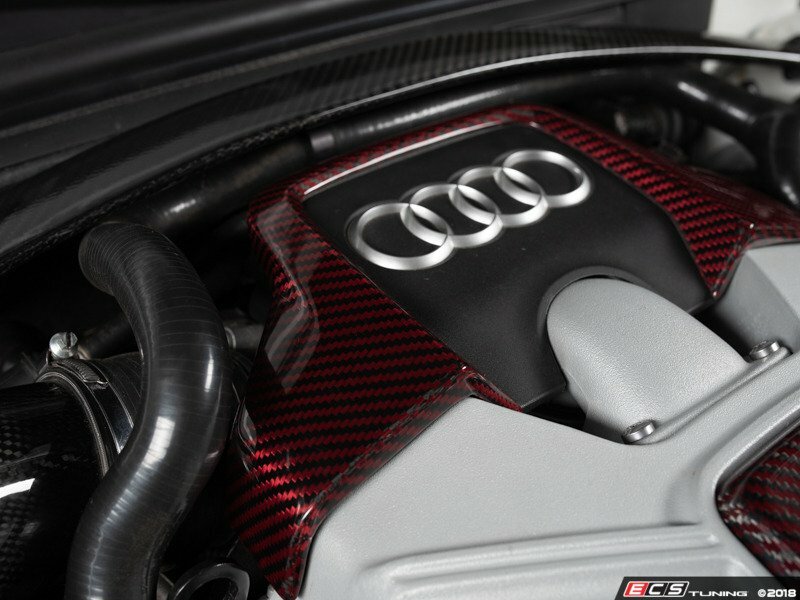 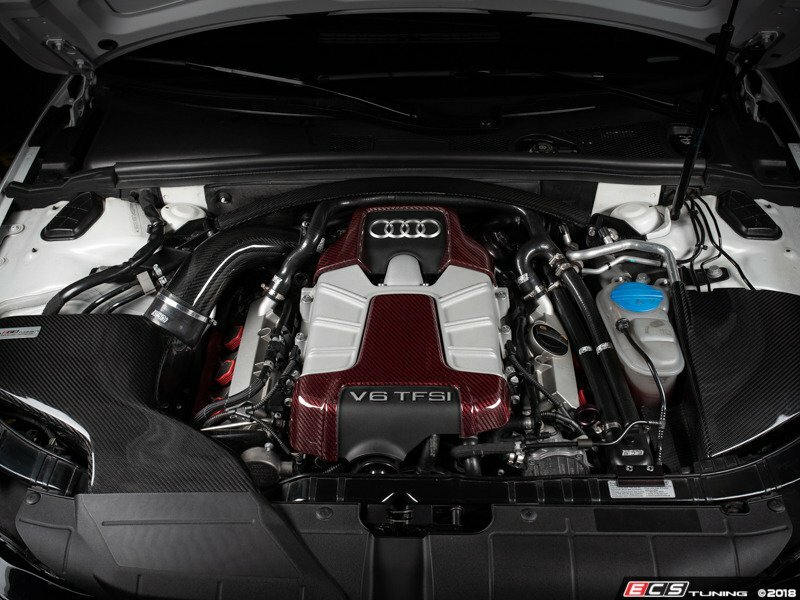 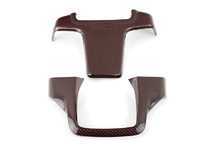 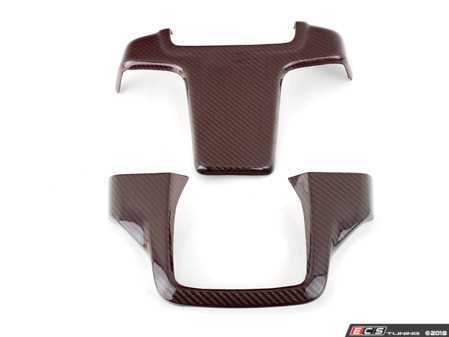 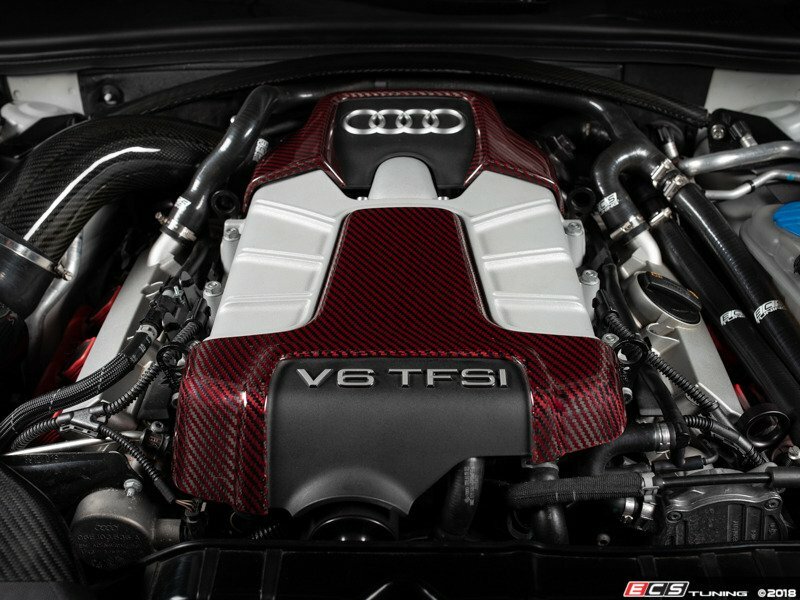 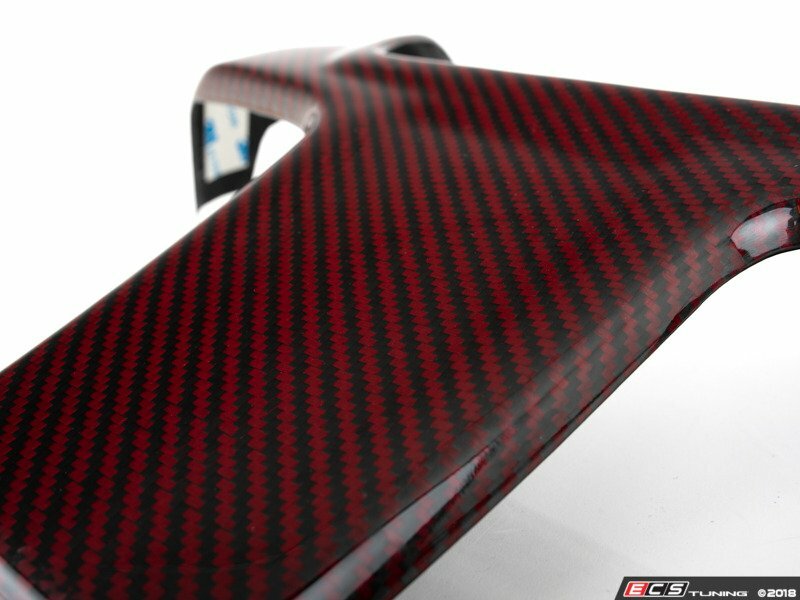 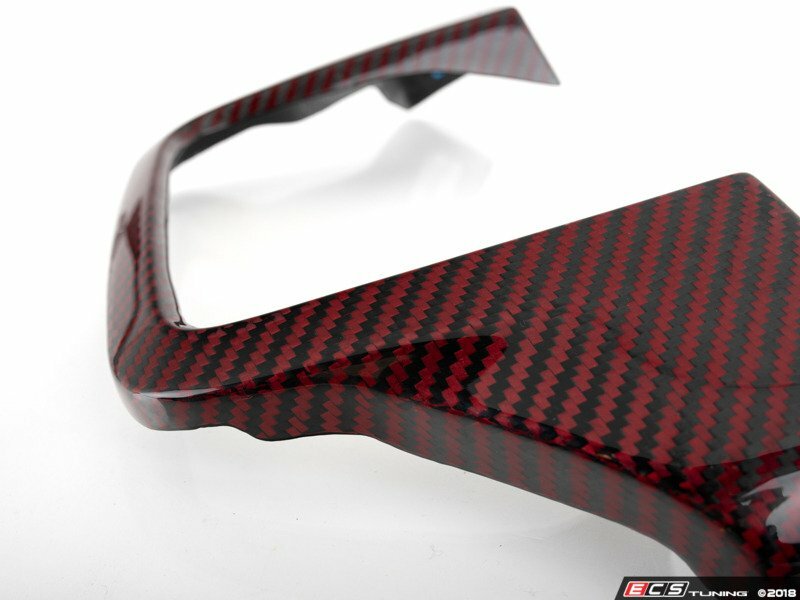 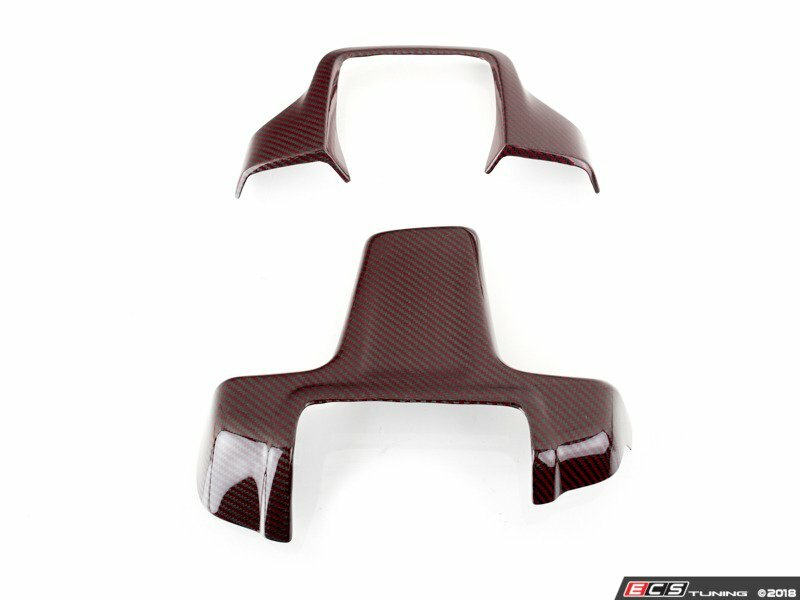 Add a touch of red carbon/kevlar to your stock engine cover! 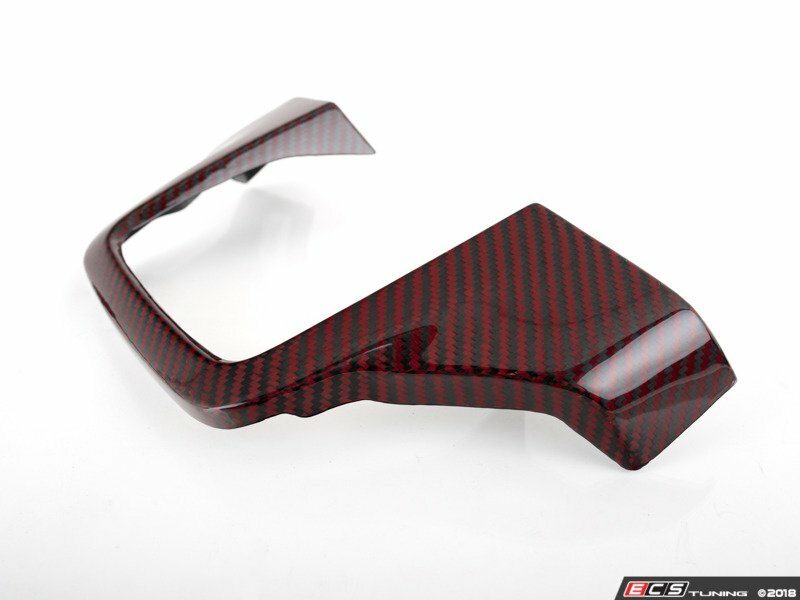 Designed in-house by our industry leading engineering staff, the ECS Tuning Carbon Fiber Engine Cover Kit incorporates beauty with OE function. 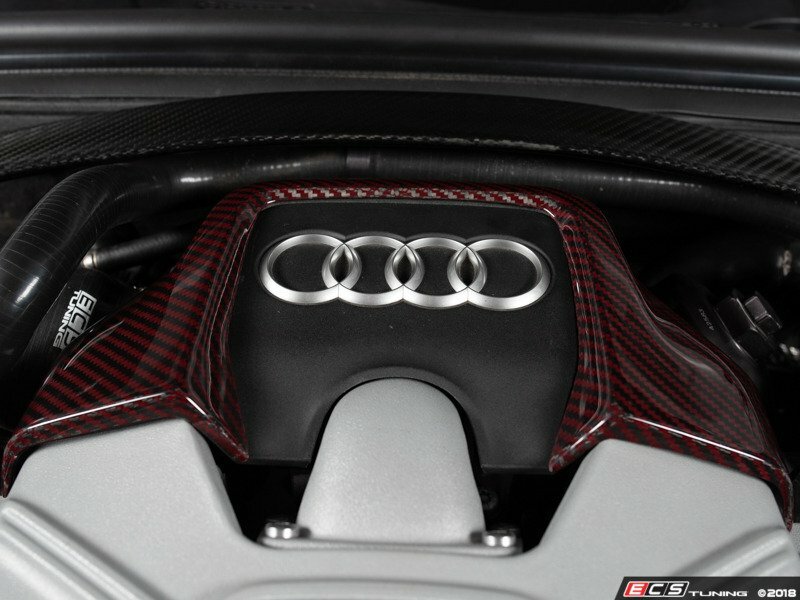 Made from authentic, hand laid red carbon/kevlar composite material, and finished in a beautiful gloss clear coat for UV-protection and extra durability, this engine cover is sure to be turning heads! 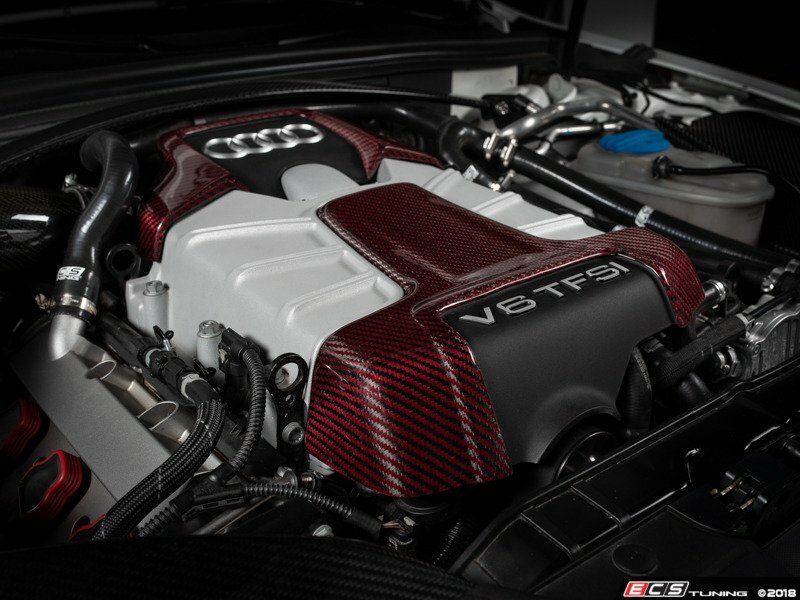 This kit gives your engine bay the look it should have came with from the factory. 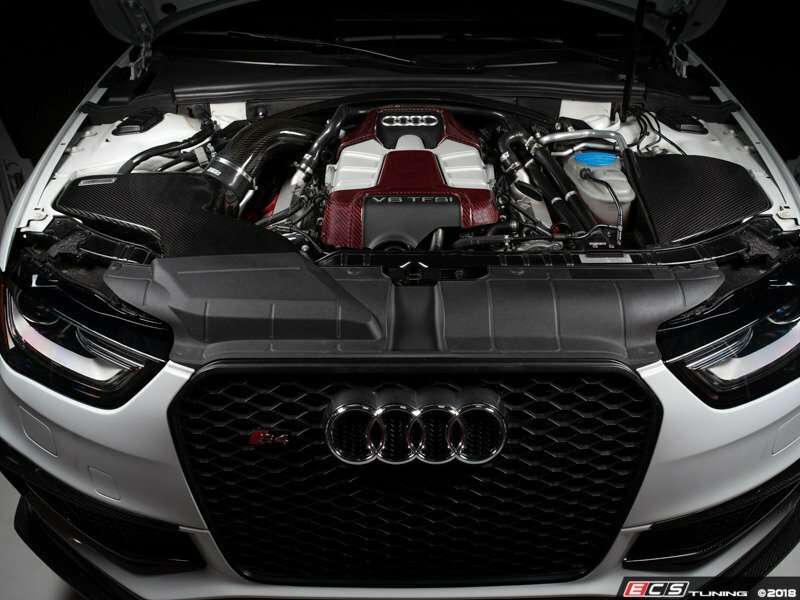 ECS Tuning has created a simple overlay kit that installs directly over the factory front and rear engine covers, while still retaining the Audi rings logo and the V6 TFSI nameplate for an OEM plus look! 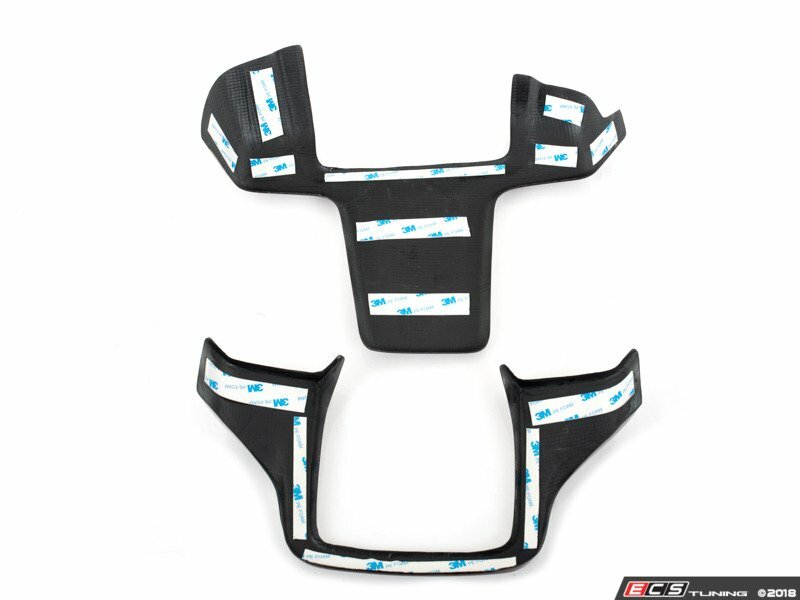 Installation is a breeze, simply peel the paper backing from the adhesive tape, line up the overlays with your OEM engine covers, and press down firmly. 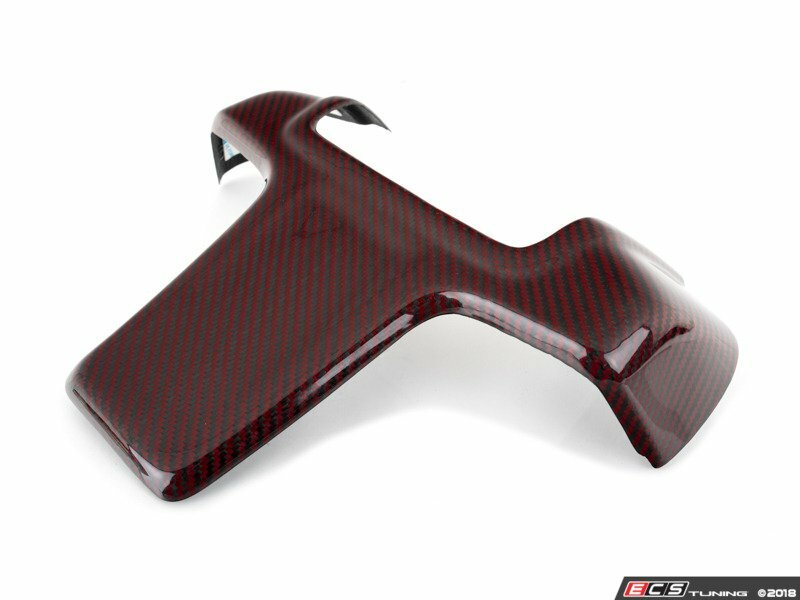 The ECS Tuning Carbon Fiber Engine Cover Kit was made to follow the contours of your OEM engine cover and sit perfectly in place. 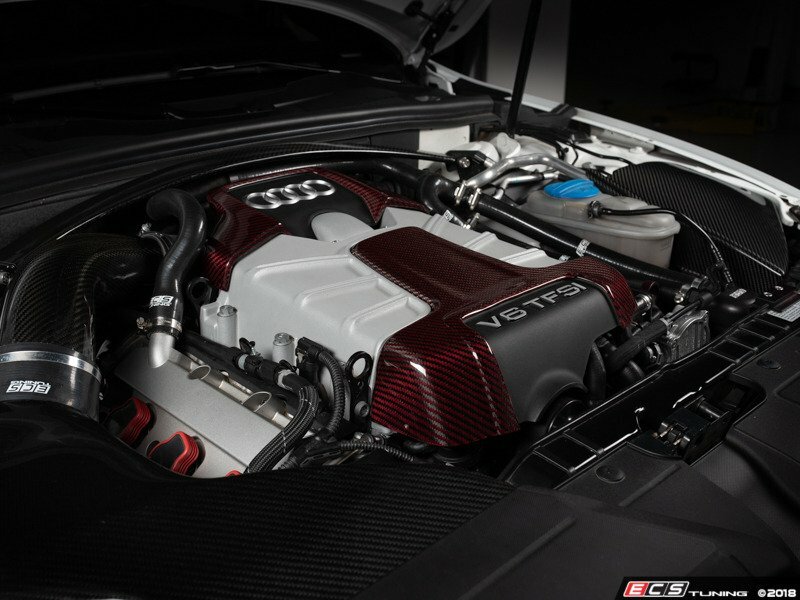 ECS Tuning recommends removing the engine covers from the vehicle before installation of the overlays to make it easier to ensure that everything is lined up properly.